We're really sorry but we're currently OUT OF STOCK - will be fully stocked soon! 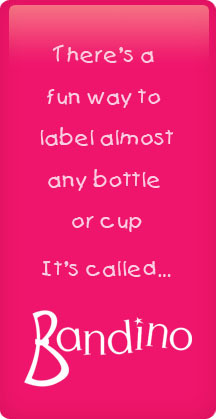 Looking for an easy way to label your cup or bottle, then look no further than the Bandino band. A fun, durable and personlised band that can be stretched to fit almost any cup or bottle. 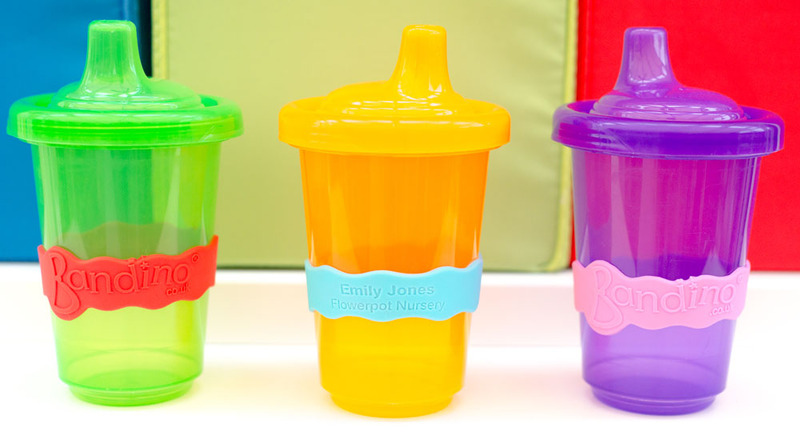 Fast becoming a favourite of teachers in both the nursery and school setting, who can easily identify the owner of the bottle, hence perfect for nursery, school, after school clubs, social clubs, sports clubs and even in the home. Makes life easier and who doesn't want that. Forget naming water bottles just attach one of these. Simple and genius. Great presents for friends who have little ones starting school. Bandino Bands - Pack of 3 bands only £8.95 WONDERFUL! I just love these amazing bands! Such a clever idea and so useful!